Differently from his original and main project AYREON, which gravitates between several Prog styles, and his latest and softer project AMBEON, Arjen Lucassen now has gone Metal! A guitar driven album, yet full of awesome keyboards textures - a trademark on his work - he has labeled this music as "Space Metal". Surprisingly, at the first listening to the album, you are able to figure what he means by that. And he's absolutely right. The music is powerful, and moods change from song to song keeping a fresh feel along the album. Once more, a team of heavy weight names from the Prog scene completes the act, and a special participation of Dave Brock on a outrageous HAWKWIND medley (special 2CDs edition only) gives the final touch. A must for the fans of heavy music!!! 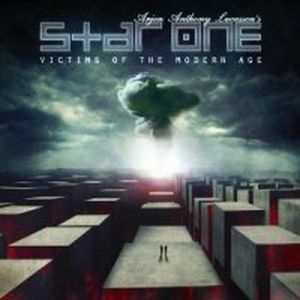 Star One is one of the heavier projects of Dutch gifted multi-instrumentalist and composer Arjen Lucassen. After releasing the brilliant Gothic "Embrace the Storm" in 2005, together with his creation Stream of Passion, Arjen busied himself with some mellower side of the prog rock. He released "01011001" with his "home" project Ayreon in 2008, and made a side step with a completely new project Guilt Machine in 2009, which resulted in a not perfect, but quite good "On This Perfect Day". Both projects probably didn't completely satisfied the hard side of his musical personality. That is probably why Arjen decided to go to his garage and clean dust from the space ship called Star One, stalled there already for quite some time. This ship took off for the first time in 2002, when the trendsetting Space rock album with a very fitting name "Space Metal" was released. Being mostly a studio musician, Lucassen still could not resist the enthusiastic reception of the space metal concept and went on tour with the complete Star One band, featuring 5 (!) vocalists: Russell Allen (Symphony X, Avantasia), Damian Wilson (Headspace, Threshold), sisters Floor Jansen (After Forever, ReVamp) and Irene Jansen (Karma) and Robert Soeterboek (Lana Lane, Cotton Soeterboek band). The old-time Ayreon staff supplied the space ship with all the fusion reaction elements, necessary for the intergalactic propulsion: Ed Warby on drums (Hail of Bullets, Gorefest), Peter Vink on bass and Joost van den Broek on keyboards (After Forever). You can still find the ship log of this flight in the stores. "Live on Earth" was issued in 2003 and contains two CD's and a DVD, full of energizing and in the same time tasteful material. So, the Star One was refuelled again, the trusted old crew members called in. From the original crew only Irene Jansen and Robert Soeterboek didn't make it this time. Instead, Dan Swanö (Nightingale, Second Sky, Bloodbath, Edge of Sanity) was recruited. I must say, he is not the last one, who gives to this mix a quite heavy sound, with his growls and low vocals. The edgy rhythm guitars, powerful bass and busy drumming give the album an even more heavy metallic sound then the first Star One project. By the way, there are also some nice surprises on the second cd, that comes with the deluxe edition. I would definitely advise everybody to go for that one, otherwise, you will just miss a half of the fun. Well, the ship could have been made heavier, it was not going very far this time. 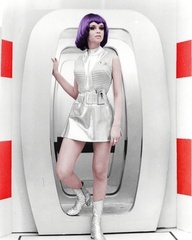 Just like in "Space Metal", all songs were written after a science fiction movie. But this time, the most of them are the apocalyptic films about a sad future awaiting the Mother Earth. Only two songs deviate from this concept: "Human See, Human Do" (Planet of the Apes) and "Earth That Was" (Firefly). This last one is directly one of the high moments on the album, not in the last place because of the pretty heavy, haunting rhythm guitar loop (ideal for head-banging!) and a really tasteful solo on the synthesizer, signed by the reliable old crew member Joost van den Broek. Bravo, maestro! The lyrics are not too complicated, but they succeed perfectly to call the right associations at the right moment of the song. This effect makes the whole emotional appreciation of the songs even stronger. Check the title song "Victim of the Modern Age", written after the classic sci-fi movie "A Clockwork Orange". You just see it before your very eyes again: rainy country side, uncontrollable Alex, breaking in into somebody's house, and you hear the melody from the famous "Singing in the Rain". Of course, it is not in the least the merit of the genius director Stanley Kubrick, who created such unforgettable images back in 1971 (!). 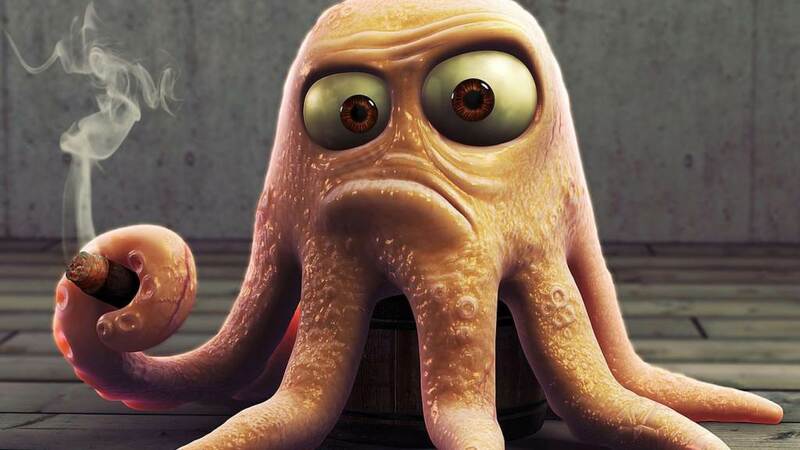 But one have to give the credit to Arjen as well, it is very clever how he makes this concept work. Sometimes it is the use of the same lines or words, spoken in the movie. Sometimes it is creating of the just right image, the right association. Let me tell you about one of the best songs to my taste here, "24 Hours". It is made after the movie "Escape from New York", an unforgettable creation of another super-director, John Carpenter. The slow and mean solo guitar and Damian's dark voice duet during the intro brings us already into the scene of the "crime-ridden city, confined within these walls, a place without pity, a place of sin?". Hearing the line "You've got 24 hours to change the course of the history, just 24 hours to trace our man and set him free" (thank you, Russell, you blow the veins from my body here, nobody could sing it better), I imagine vividly the one-eyed tough guy Snake Plissken, standing there, on the border of the ravaged New York, taking in the instructions, legs wide, head bowed, full of different counteracting emotions: rage, determination and doubt. Funny coincidence, Plissken was played by Kurt Russell, and Russell Allen is singing in this song (well, together with Damian and Floor). I checked the history. Russell Allen was born in 1971 and the movie was released in 1981. So it couldn't have been this movie, that inspired his parents to name him Russell, alas there goes my speculation :-) Or was it still the actor? He played in quite some movies before that one? But let us not wander off the path here. Another high moment of the record, the heavy prog epic "It All Ends Here" is written after "Blade Runner". It is still one of the best sci-fi movies ever, however made back in 1982. With the first, Black Sabbathical, or doom-like, if you wish, accords, you get inside the future. It's dark and hopeless fate of the Nexus-6 humanoid robots that you are experiencing now. They are built perfect, beautiful and strong, clever and quickly learning, but made to last only 4 years. Because in these 4 years they gather too much emotions, and eventually become almost human. Or even more than human? On one hand, they can become an unfair competition for men. On the other hand, who has right to decide the future of a living, thinking, feeling and dreaming being, no matter that the origin of this being is a factory? The fate is just not fare for Roy Batty, now he has nothing more to loose. And my god, how Roy is played by Rutger Hauer in the movie, unearthly! Listening to the music, you will see him dying there on the roof, a rusty spike in his hand, talking about decaying dreams and "tears in the rain". Arjen, you are a genius, to use exactly these words here! And even more, for the outrageously beautiful solo in the end of the song! Just a few words about the second CD that comes with the deluxe edition. As I already told, there will be some nice surprises for you there, besides the "Making of" video. One of them ? another epic, "Closer to the Stars". Very Black Sabbath or Rainbow-like, in their Ronnie James Dio periods. And yes, Arjen has gone to some length here and got a real Black Sabbath singer: Tony Martin. This song is nothing less than a younger brother to the Rainbow's famous "Stargazer". Even some words associate perfectly, it's all about "going home", "children of the stars", "gotta fly"? I also loved the only one song sang by Arjen himself, it is the sophisticated "Lastday", with a really nice guitar solo at the end. The last surprise will also be the last song, the remake of the Emerson's "Knife Edge". Being one of the less symphonic numbers or the EL&P's first record back in 1971, it's funny how it stands here on it's own, becoming maybe one of the most proggy songs in the Star One reincarnation. I hope Arjen will go one time and make a whole record full of covers. With his arranging and adapting talent, it will be another "must have", I am sure. Arjen Lucassen has many talents. Among them there is his commercial instinct and entrepreneurship. Did you follow the contest to guess the movies that inspired the songs from "Victims?" on Internet? If you have time, check on Youtube. Just type in the search screen something like "Star One contest". I guess it invoked quite a lot of attention from the rock and sci-fi fans in the pre-release period, well-done, Arjen! Speaking of musical influences, they all can be found on various layers of Arjen's music. Some of them are easily traceable, some not. Just let me give you some examples. The title song goes all the way back to Led Zeppelin's "Black Dog", if you let me. The quirky synth tune and sleek and heavy rhythm guitars of the glossy "It's Alive, She's Alive, We're Alive" are clearly inspired by Rammstein. Yes, The record is full of references, cinematical and musical. Take my advice, buy it and discover them all, and see how it all grows into something unique, something, that will become a reference to generations of musicians to come. Back in #67 I raved about the new project that had been put together by Arjen Anthony Lucassen, Star One. That concept album has since been taken on the road and he has brought with him many of the musicians that were initially involved. This means that there are five singers involved, all with a part to play, and on songs such as "Set Your Controls" when they are vying for position it is a sight to be heard. (!, yeah, I know, but you get the idea). Of course, one of the singers is Damian Wilson and I have never hidden my admiration for his vocal prowess, yet here he is fine company and fits in well instead of dominating the proceedings. This is technical hard rock, with just enough prog influences to keep fans of that genre interested but in many ways this is more complex than even Damian's old outfit Threshold, although not quite as heavy. This is a concept album being played live, although with some added songs that aren't on the studio, but there are some spoken pieces I an attempt to set the scene. It can be played as separate songs, although if possible it is best to sit and listen intently to the double CD in one sitting. This is the version that I have been sent, but I believe that it is also available as a double CD with a DVD, which must be worth seeing. If you want complicated hard rock with more than a touch of prog metal than this is it. 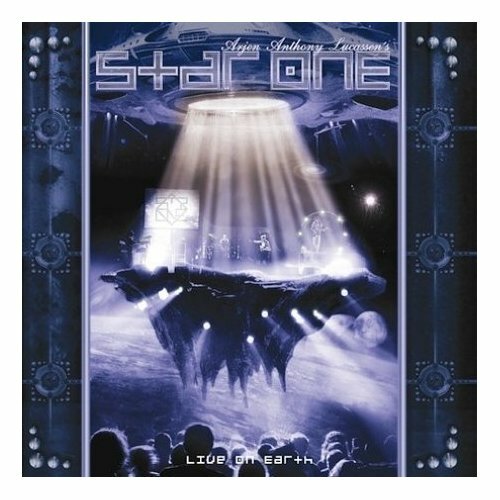 Star One is the brainchild of Arjen Anthony Lucassen who provided not only the vision, all of the songs, but also bass, guitars, Hammond, mellotron and synths. He was joined by Ed Warby on drums and used four main vocalists in Damian Wilson (Threshold, Landmarq, La Salle etc), Russell Allen (Symphony X), Dan Swano (Edge Of Sanity, Nightingale) and Floor Jansen (After Forever). He brought in some guest keyboard players such as Erik Norlander (Rocket Scientists) and even convinced Dave Brock to make an appearance on guest vocals! It has been released as a limited edition double digipak and that is definitely the version to get hold of. Arjen is best known for his albums as Ayreon, but his last CD was more of an atmospheric album under the name Ambeon. This is an attempt to bring out a hard rock space metal album for the 21st century, and it succeeds brilliantly. There is always the fear that a project of this kind will always have a disjointed feel, especially when one musician plays so many instruments but that is not the case. Another factor that works very well is that the four vocalists are all very different so that it is always possible to pick out exactly who is singing what. On "Set Your Controls" all of the singers play a part but they all still sound distinctive. The album was inspired by some of Arjen's favourite sci-fi films and the project itself is named after an episode of "Blake's Seven". While I don't want to take anything away from the main album, which is simply superb, I must just mention also the Hawkwind Medley that is a bonus. "Silver Machine", "Brainstorm", "Spirit Of The Age" and some others played as if they are new fresh songs yet always maintaining that Hawkwind element, given the distinctive and definite seal of approval by Dave Brock providing the vocals. Ten minutes is just not long enough. Already established as a personal favourite for waking up the office at 06.30, this is class from start to end. This second album released under the name of Star One once again feature many of the same people as were present on the first, including Shadow Gallery's Gary Wehrkamp on guitar, and Threshold's Damian Wilson and Symphony X's Sir Russell Allen on vocals. Fans of these bands will probably enjoy this. Like on Space Metal, the material here is once again strong with nice melodies and solos. The sound is somewhat heavier and darker this time around and the choruses are not as disturbingly catchy, but the differences are not that big. There are some songs, like Cassandra Complex, that are very much in the vein of traditional heavy Rock (think Deep Purple). I find both albums by Star One rather enjoyable and I generally prefer both of them over Ayreon's overblown and cheesy Rock Operas. Still, there is nothing on these albums that I find particularly impressive as such. Every bit as good as Space Metal, if not better, possibly even the best of Arjen Lucassen's many efforts! Being a fan of Shadow Gallery, Symphony X, Threshold (especially the Damian Wilson-led albums), and Yngwie Malmsteen's Rising Force, I guess I was bound to eventually check this out given the people involved here (even if I honestly cannot stand much of what I've heard from Arjen Lucassen's other project, Ayreon). 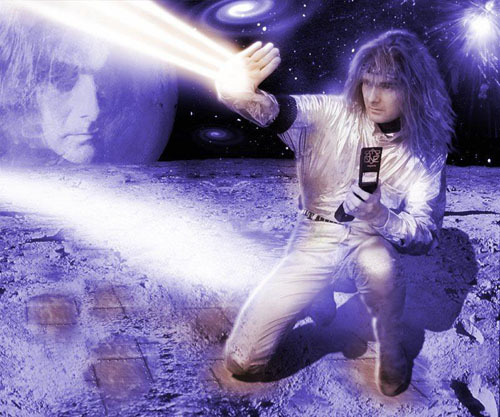 Unlike Ayreon's often messy and incoherent albums, Star One's Space Metal sticks pretty much to a single musical style throughout; a highly melodic and spacy, progressive (Power) Metal. Even with more than one lead vocalist involved, the present album is also in that respect more consistent than most Ayreon albums which usually involved even more vocalists (and instrumentalists) often to the detriment of coherence. The music of Star One is more direct and to the point, which I think is preferable over the overblown Rock Opera format. Much of the lead vocals are done by Damian Wilson and Sir Russell Allen (often both of them together) with lots of female background vocals. I very much like these two distinctive vocalists and I must say that they do a great job here even if I prefer them in their natural habitats of Threshold and Symphony X respectively. The lyrics they are given to sing are, however, often cheesy and full of clichés. Jens Johansson of Yngwie Malmsteen's Rising Force fame hands in some great keyboard solos in his own very characteristic style. The material is quite strong and the melodies are memorable and I find this enjoyable and pleasant overall. But nothing here is really impressive as such. It is rather as one would have expected it to be given the title, the theme, and the people involved. Science Fiction themes and incredible metal make a formidable combination! 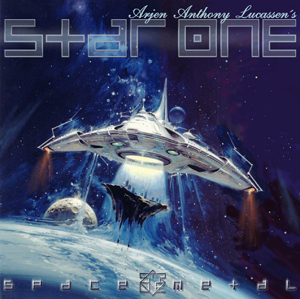 Star One's "Space Metal" is Ayreon's pet project that never disappoints with incredible compositions based on sci fi themes from novels, TV and movies. There are some genuinely masterful metal riffs, some played at blinding speeds, others breathing melancholy ambience. I love the way the songs are based on well known sci fi themes, and one listen to the lyrics makes it obvious to the average sci fi freak, such as myself. It is a pleasant surprise when one discovers what the songs are about, which are usually excellent sci fi films. Part of the fun is finding within the lyrics the references to specific sci fi icons. The players are icons of prog metal including on vocals Russell Allen from Symphony X, Damian Wilson, Floor Jansen from after Forever, Irene Jansen of Karma, and Robert Soeterboek, as well as guest Dave Brock of Hawkwind. Arjen Anthony Lucassen is the main lead guitarist, joined by After Forever's keyboardist Joost van den Broek, Peter Vink on bass, and Ed Warby on drums from Gorefest. 'Lift-Off' is a nice intro with spacey elements leading to 'Set Your Controls', a fast chugging riffer with awesome Ayreon style vocals. Manic keyboard wizardry, and cranking metal riffs drive this. The lead break is amazing, and this is one of the best album openers for Ayreon. Thematically it could be based on just about any saga where a spacecraft lifts off for an alien planet. Actually it is based on "Doctor Who" though you will have to listen carefully to pick up the references as I missed it and had to look it up. 'High Moon' has Deep Purple style grinding organ and the crawling metal riffs are awesome. The sound is huge with deep crunching riffs and slow vocals. It is all based on the movie "Outland" and certainly works as a tribute to the Sean Connery movie of the 70s. It follows the plot closely, the drugs, the deaths and the final shoot out in space. I love it. 'Songs Of The Ocean' has the trademark female and male voices working together that permeates the Ayreon albums. This one is based on "Star Trek IV: The Voyage Home" where the whales are transmitting important messages that cannot be interpreted or answered when whales are extinct in the future. So the Enterprise has to go back in time to the 80s when whales existed. It is in interesting idea and Star One capitalises on this "we survived the human race, but don't know the words to the songs of the ocean." It is a memorable melody and has some nice submarine effects. It segues seamlessly into 'Master Of Darkness'. The next song is quite heavy with emotional deep vocals trading off with higher register vocals very effectively. Who is the master of darkness? Definitely based on the evil villain of just about any sci fi story. However this one is based on "Star Wars Episode V: The Empire Strikes Back" though is not as blatant lyrically which is perhaps a good thing as it may have sounded corny if it had mentioned Luke or Darth Vader. 'The Eye Of Ra' is a longer song at 7:34, based on a traveller from another galaxy, finding a comet, gaining powers and finding a gateway to the stars; "Stargate" anyone? I am not a fan of the series but it definitely rings of the Egyptian themes in that saga. The song is great in any case, atmospheric and powerful, with great majestic vocals that are mixed to the front at the end but are a bit too bombastic really. 'Sandrider' must be based on "Dune" I speculated before I heard it, and I was right, Frank Herbert's classic novel is given the Star One treatment with admirable guitar ferocity and some fantastic keyboards. 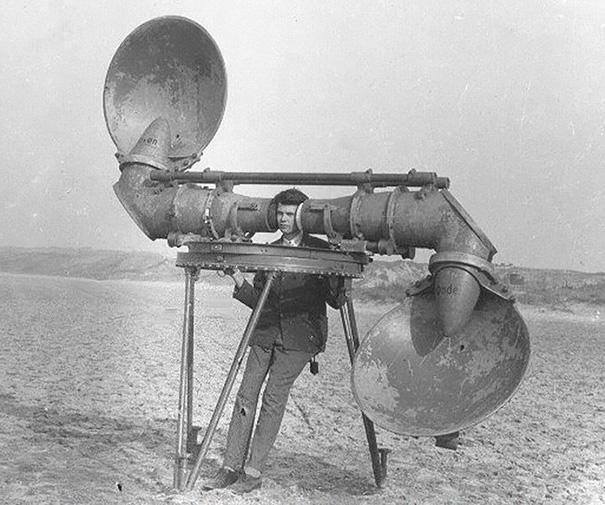 The low vocals are effective; "I had seen places man has never seen, am I the one to fulfil the prophecy on the desert planet in our galaxy." 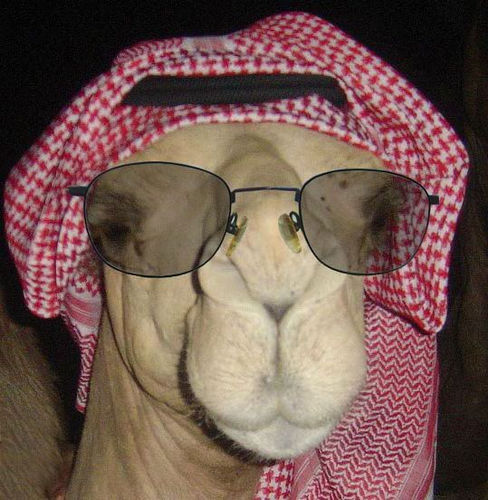 The Arabian style melodies enhance the atmosphere, as well as that brilliant lead guitar. 'Perfect Survivor' had me stumped for a while as to what is was based on until I heard the lyrics; "my secret mission brings me back to reality, I had to bring it back alive," thus it is from the point of view of robot Ash in "Alien". Other lyrics that indicate this include, "you should know that you all are expendable, I have been programmed to put you out of action." The riffs in this track are killer and very dark and it is a definite highlight of the album. The odd time sigs are augmented by powerful lead breaks and the harmonies are great too. 'Intergalactic Space Crusaders' begins with shimmering organ and a steady chugging metal riff. The lyrics are about a prison in space, and a man who has had his memory blanked, innocent dying, and 7 people fighting against the Federation's system, okay it is definitely "Blakes 7". The lyrics "dominator, Liberator" make it even more blatant. Now that I have ascertained what it is about I can enjoy the lyrics even more. I love how Star One are using sci fi themes from my favourite movies and TV shows. This has a strong melodic chorus and delightful keyboard solos. A fantastic song, and incidentally the title of the 'Star One' name is lifted directly from an episode title in the "Blakes 7" series. 'Starchild' is a 9 minute progressive track based on "2001: A Space Odyssey" of course. I knew that before it even started and then hearing the atmospheric opening with spacey vocal chorus and weird lyrics; "touch me now and feel my force", indicate the Monolith is speaking. Then we hear a different style of vocal singing, "something strange I feel confused I don't know why, I've been designed to tell the truth, I cannot lie," and it is obvious that HAL is speaking. It is interesting to hear from the computers POV here. It is one of my all time favourite movies so to hear it in song form is a compelling experience. Star One really captures the awe and mystery of Kubrick's classic, and the lead break soars beautifully. The lyrics even touch on the trip through the stargate, the all-seeing eye and the transformation of Bowman to the Starchild. Disc 2 is a great bonus on the Limited Edition running for only 41 minutes but well worth it for a couple of masterpieces. One of these is 'Hawkwind Medley' an awesome Hawkwind feast of memorable melodies clocking 9:40. It is made all the better as legendary Dave Brock is on vocals and this is a must for all Hawkwind fanatics. A simply brilliant tribute to the band and very heavy. We have a terrific medley of such classics as 'Master of the Universe', 'Silver Machine', 'Brainstorm', 'Assault and Battery', 'The War I Survived', 'Spirit of the Age' among others. They blend together well and are an absolute delight to the ears. 'Spaced Out' is the next track of note, with a heavy riff and fast pace. The lyrics indicate that this is based on John Carpenter's iconic debut movie "Dark Star"; "emergency override, information overload, we are all about to explode." The keyboards on this are incredible and this rocks harder than a lot of stuff on CD 1. 'Inseparable Enemies' has a cool squealing riff driving it. The song is about the end of a war and coming to the realisation "that we are not alone". The "fortress in space" with men dying in a blood red sky could be based on many sci fi films or TV shows I have seen, such as "Babylon 5" or "Fortress" for that matter. "The birth of a brand new race, the turning of a new page" gave it away, as this is actually based on "Enemy Mine", though I had no idea till I looked that up. The music is a steady tempo and some accomplished vocals trading off enhance it. 'Space Oddity' is a darker amazing cover of Bowie's well known classic. The vocals have a Bowie-esque flavour but this is way different musically, with low droning synths and keyboard pads. The bridge is atmospheric with echo vocals, and the crescendo is a blast of really heavy distorted crunching riffs, then a clean guitar takes over beautifully. The result is a stunning cover version enhancing the rather sparse original on every level. There is also a cover version of Donovan's 'Intergalactic Laxative', which works as a curio with some hilarious lyrics about the interminable problems of pooping in space. Moving on. 'Starchild' Mixed In Dolby Pro-Logic) is the same as the Disc 1 version apart from remastered mixing making it crisp and sharp. 'Spaced Out' (Alternative Version) is rather the same musically but the vocals are slightly different. Overall the bonus disc is worth getting for at least the cover versions. Overall, the album is not the masterpiece of the follow up "Victims of the Modern Age" but this is still quality prog metal and has some fantastic songs and awesome sci fi themes to revel in. The album has been praised by critics, and, when it came out, there was quite a lot of hype surrounding it. I can understand the praise this album has received, but I was never as hyped about it as so many other people were, and there were loads of other releases in 2010 that made a much bigger impact on me. I think there are three reasons why "Victims of a Modern Age" became so popular. Firstly, Lucassen is involved, and that in itself may lead to some pretty high expectations from fans - expectations which were clearly met. Secondly, the album some quite high profile artists on vocals - namely, Russell Allen, Damian Wilson, Floor Jansen, and Dan Swanö. That in itself is enough to attract some attention, and the combination of different vocal styles does work brilliantly. Thirdly, there is the music itself, which may be heavier and less complex than what one might be used to from Lucassen's other projects. The music on "Victims of a Modern Age" is probably best described as progressive power metal with an emphasis on heavy and groovy guitar riffs and catchy melodies. The album also features organs and spacey 80s style keyboards, which - although they get a little too cheesy now and then - fit nicely in with the album's sci-fi oriented theme. On the whole, this is definitely a fine work of progressive power metal, which will certainly appeal to Lucassen's fans in general as well as to fans of Ian Parry's Consortium Project. Some 8 years after the début Star One album, Arjen Anthony Lucassen resurrected the name for this 2010 album. When he first started work on the album in 2009, he was unsure at that stage whether this would in fact be a Star One release, but as he began to draw in further sci-fi influences from films, it became clear to him that Star One would be the best vehicle for this work. The title is taken from the controversial film "A clockwork orange", with all the tracks drawing their concepts from well know classic films. Although the line up retains a number of guests who appeared on "Space metal", the relationship with the first album is less obvious musically, this being a generally heavier set with less emphasis on the very strong melodies which prevailed on "Space metal". That is not to say that this collection lacks melody, but this album shifts into more metallic territories, with pulsating riffs and pounding rhythms being the norm. The opening tracks have the feel of Ronnie James Dio's time with Black Sabbath and Heaven and Hell, although there is never any doubt that this is a Lucassen project. Even the odd burst of growling or acoustic guitar cannot disguise the distinct tenets which prevail through this and virtually all of his albums. Personal favourites include the fine opener "Digital rain" (The Matrix), "Earth that was" (Firefly / Serenity) the climactic "24 hours" (Escape from New York) and the title track. While this is a highly enjoyable collection which should not surprise anyone familiar with the work of Arjen, a word of warning is perhaps in order for those coming to this album via "Space metal". Although the themes are indeed Space related, "Victims of the modern age" is largely devoid of the space influences which graced the first album. The main themes and choruses, while of a high calibre, are not as memorable this time around. This remains though an album which should please those who enjoy the work of AAJ. Just to chime in with my opinions. They are well overdue. But better late than never. 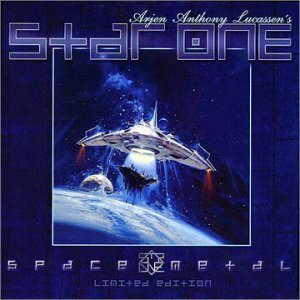 Star One is Arjen Lucassen's metal project. Lyrically, this is a science fiction based project which gravitates among the stars out in the cosmic ocean. Musically, the music is pretty much out there in the cosmic ocean too. The music has a hard progressive metal edge. But the music also reminds me a lot about what Rainbow did. Besides of the metallic riffing guitars, there is a very strong 1970s hard rock feel over this material. That is a sound I really like. The material here is very good, bordering to great. A song like 24 hours is really great. There is some other stuff here I am less happy about. I am less happy about this constant metal riffing guitars which feels like an unwanted distraction. OK, this is meant to be a metal project, far away from Ayreon. But the almost industrial metal sounding guitars still feels like they are impeding the melodies and killing them off. A bit more organic guitar sound would have improved this album a lot. That is why, despite of some really great tracks, I do not think this is a great album. But this is still a very good album. I don't see many differences between the Ayreon usual style and this Star One project of Arjen Lucassen. There's more metal than prog, maybe, but the use of many singers in a sort of rock- opera style is not too different from the Ayreon's things. The album is good. Heavy and well played. The keyboards play an important role on all the tracks and the sounds are almost the same that can be heard on any Ayreon's album. In brief, remove the folky interludes and the voice of Heather Findlay, calm down a bit the guitars and you'll have a metal version of Human Equation. The title track, in particular, reminds a lot to Day Sixteen, with the heavy bass replacing the didgeridoo. However, even if reminding in some way of the 80s longhair metal bands like and a bit also to Dream Theater this is the usual good Lucassen. Not a masterpiece, specially for those are already familiar with Lucassen's projects, not last the Guilt Machine as it's not too different but it's in any case a good prog-metal album with some highlights and the rest averagely good. The only thing that I don't really understand is why in the CD era one has to fade out a song, specially a title track. Don't you have ideas for the final? My favourite track is the uptime "Human See, Human Do" which makes me think to the early Motorhead (not for the voices). A good album to raise up your energy (use it carefully when driving) . But not essential.